Australian sidecars - happy & sad tales. Discussion in 'Australia' started by tripodtiger, Jun 16, 2011.
tripodtiger Off riding around on bitumen circles. looking for a smaller house & bigger shed. Getting into sidecrs is a bit frightening, there is heaps of information and misinformation spread very thinly around the place. Everyone and no one are experts. 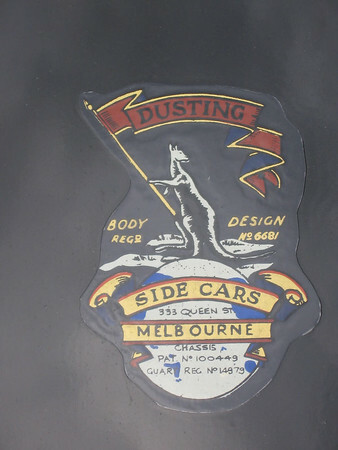 Given that there are always one or two people considering getting into sidecars, and that we are very much fringe dwellers, it may be interesting to hear a bit from owners about the good and bad things they encountered as they have gone through the process - with Australian sidecar builders or sellers. I'd like to read a few stories on your heroic Hurdis, dependable DJP, perfect Premier, lovely LH (that'll be my job, partly), hilarious Higgins, fantastic Phyllis (gotta call the few out there something), striking SRK, unreal Ural, cosy Cosy, hardy Highway, wonderous Westcart or even humungous home built! That's enough alliteration for anyone. 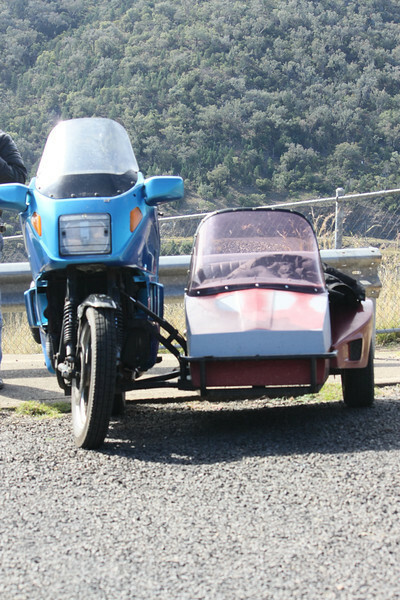 I've had four sidecars over the past 25 years, built by two different people. 2 Lindsay's from the NSW north coast and 2 LH, built in Adelaide. I've been happy with all of them. I'll come back to this later, see what response I get. Me thinks you are fishing/trolling for something that you already have an opinion on. Care to explain why you put this post up? And why ask in the general OZ forum and not in the dedicated Hack's forum which is where this post should be? I wondered about sidecars for years and always liked the idea of getting one, but didn't know where to start. Rigs weren't exactly thick on the ground where I live in Albany and I didn't really know what consituted a 'good' rig, especially given the different uses they get put to. I took the plunge after my young kids started saying they wanted to go on one of my bike trips and figured that if I didn't just get one I would probably just procrastinate for years and regret it down the track. There have been a some minor issues and there were a few whispers as it doesn't have a full sub frame, but it's been together since the mid /late 90's and shows no signs of falling to bits yet. You forgot "The Great Grumpy" from the Monarchs. I've had 6 outfits and Geoff's effort with my V Strom is without doubt the best by far. Other wise no horror stories at all. Oh, and Chris.....back to your Guinness (or whatever you're drinking over there) thanks. I have been contemplating a sidecar for a few years. I am reading with interest as I have found it very difficult to find out what makes a 'good' sidecar over a 'bad' sidecar. I guess I'd start with a course and pay someone to teach me as I dont know anyone with one to even try and see if I like/hate it. I am guessing its an acquired taste. Its expensive to just jump in at the deep end. Anyone spruiking the names of classic Aussie sidecar builders who doesn't mention Tilbrook is a wanker. I was following a couple of sidecars last Sunday and one went all "funny" on a corner. Of course I'm fishing! Why ask a question if you don't want some answers? Ask in the oz forum, well 'cause I want the answer relating to us, not u.s.
'should' be, Chris? how about 'could' be? There are heaps of widely held opinions about this that and the other that people, like Adrian, hear. Often they are just throw away lines, but if you are new to the game, how can you tell? Dare I say a darling Dusting? Not to mention the Gnome! I've been putting this one together for a while now. Getting close to sorted but not quite there yet. 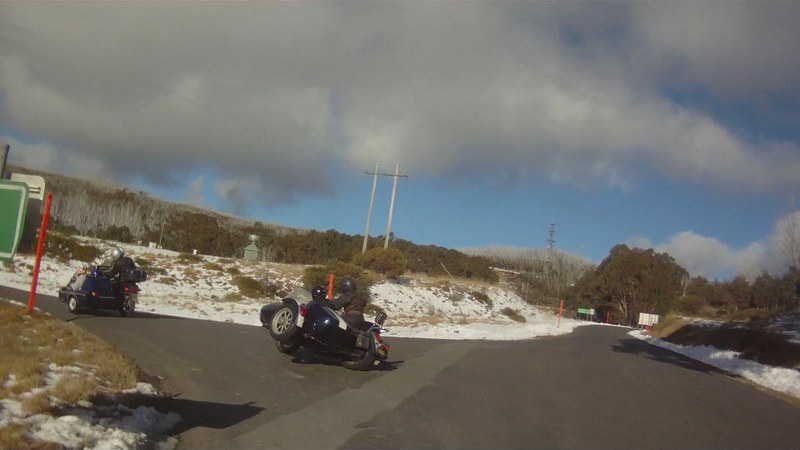 why cant we(sidecarists) have our own Aus. Thread. All the others do(Dr650,Ktm950,1200 Yamaha, etc) you get my point. Give me a pm adventuredave. I live in Toowoomba. This is my ride at the moment. My brother and I bought it together. No worries. At least you are man enough to own up to it. And admitting it is half the cure, so I'm told. What say we (Melbourne-ites) all get together one day for meet and greet? What's the go with the trip to Jerramungup to pick the brain of a known "Chair" guru who resides there?